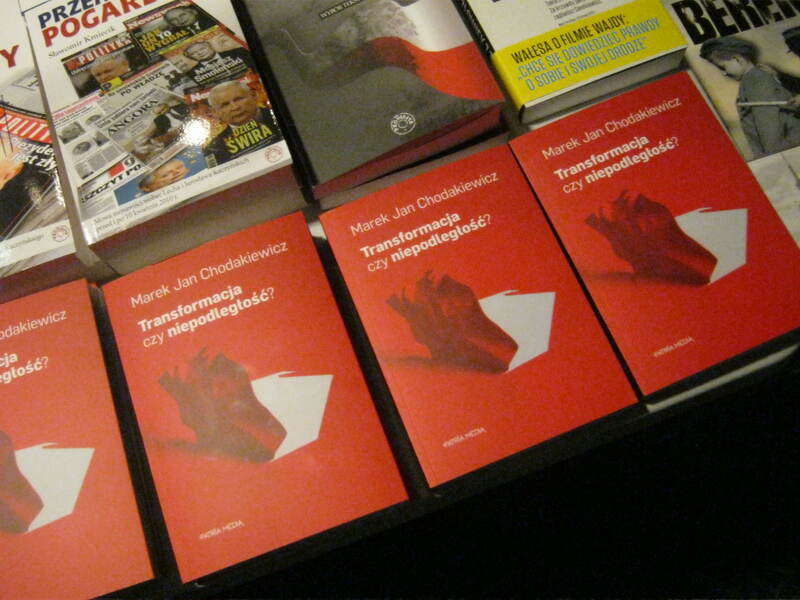 Marek Chodakiewicz’s new book entitled Trasnformacja czy niepodległość? 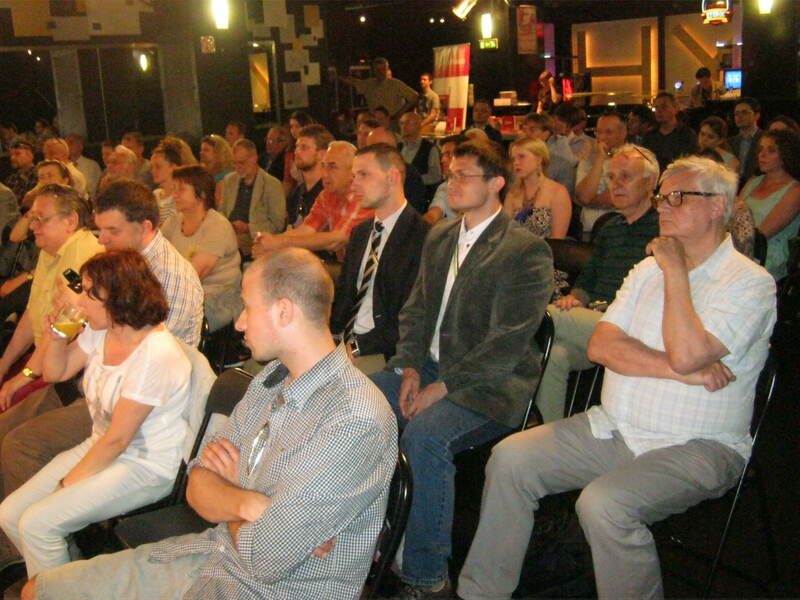 was released at an event in Warsaw, Poland on June 12. A video of the event can be found below. 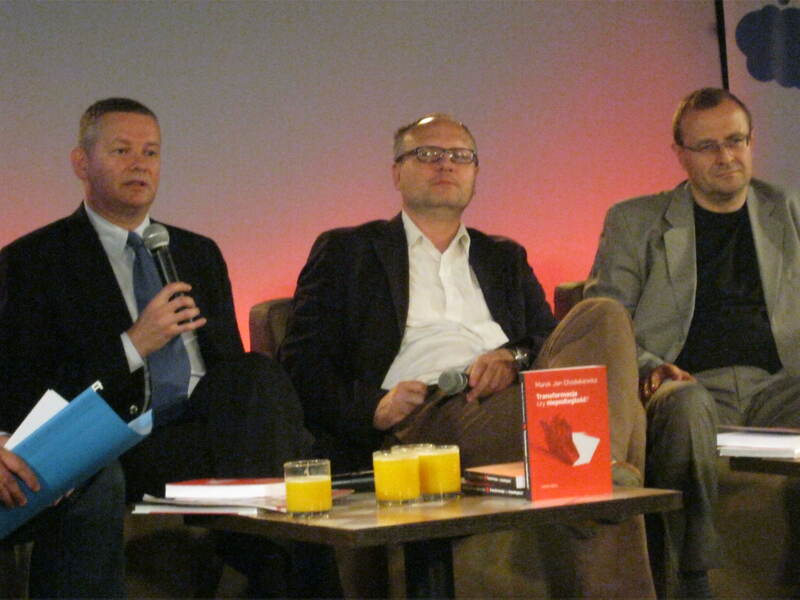 The book, which assesses the past quarter-century of post-communism in Poland, can be purchased online here. 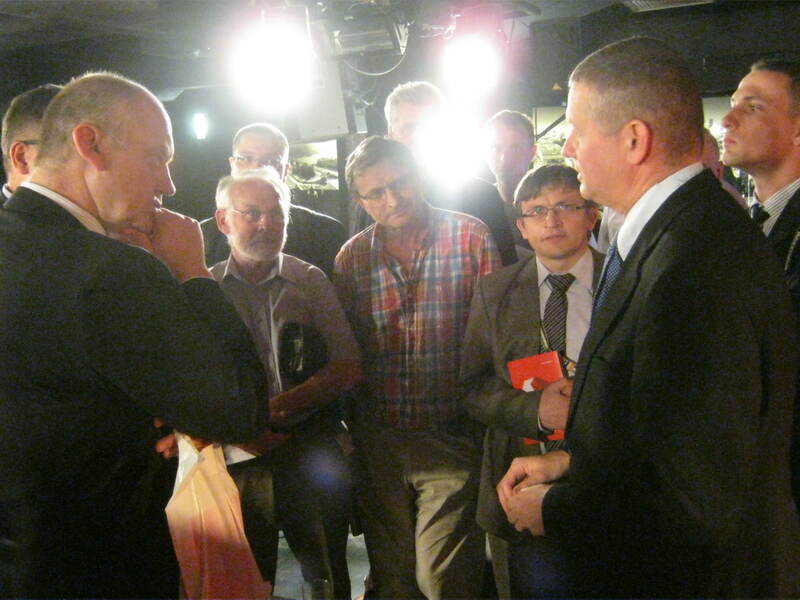 This entry was posted in Books, News, Past Events, Poland, Polish History and tagged Marek Chodakiewicz, Poland, post-communism, Warsaw on June 23, 2014 by IWP. 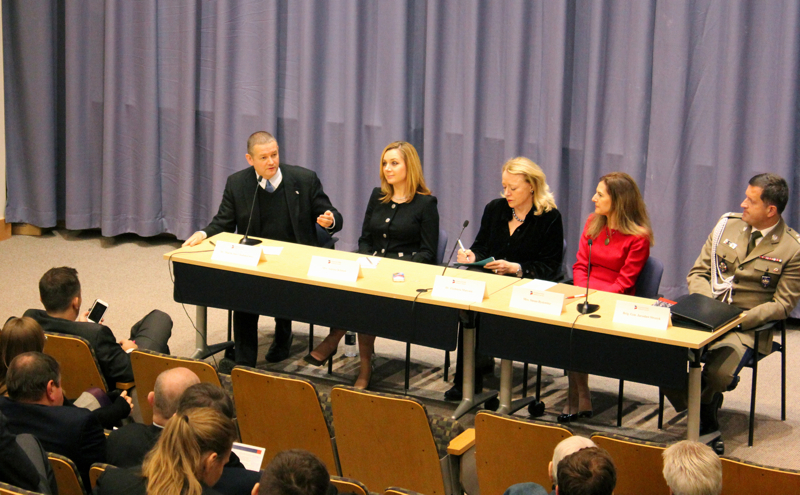 On Saturday, 12 April, the Kościuszko Chair of Polish Studies at IWP hosted its Fourth Annual Spring Symposium, one of the Chair’s two semi-annual conferences devoted to the historical, cultural, geopolitical, economic, and other aspects of Poland and the Intermarium. The first speaker, Mr. Michael Szpindor-Watson, a doctoral candidate in economics at George Mason University, spoke on the impact of climate change on the persecutions and expulsions of Jews in Europe from 1300-1795. He pointed out that while climate shocks exacerbated tensions between Christians and Jews and often led to the persecution or even expulsions of the latter, the same positive correlation was not true of the Polish-Lithuanian Commonwealth, which was known as the “Jewish Paradise” (Paradisus Iudaeorum). Dr. Elizabeth Radziszewski — Visiting Assistant Professor of International Relations at Lehigh University — delivered a presentation on “Competition, Accountability, and the Private Military Industry.” Although the topic of private military contractors has been a controversial one, Dr. Radziszewski pointed out that competition among several firms had a positive impact on the accountability and effectiveness of the private contractor firms. 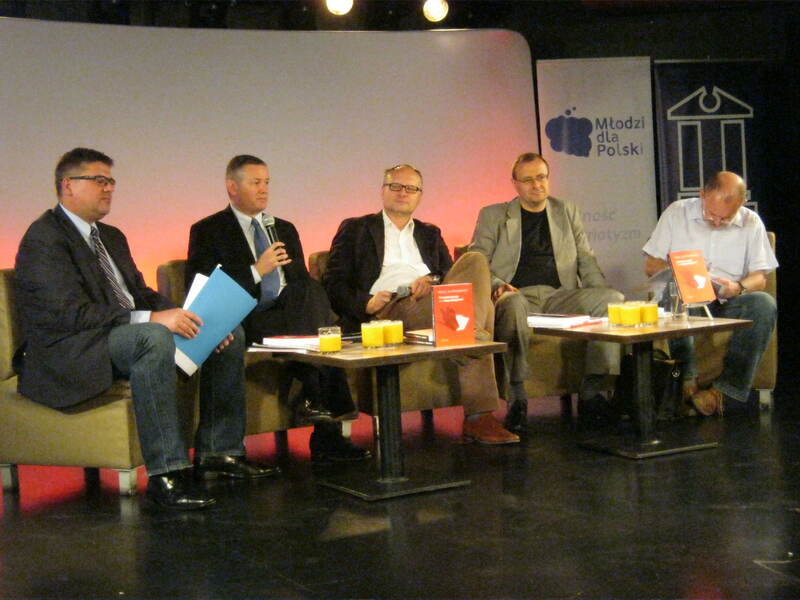 For more of Dr. Muszynski’s thoughts on Mikołaj S. Kunicki’s book on Bolesław Piasecki, please click here. Father Jarosław Wiśniewski — a Polish-born Catholic missionary — shared his experiences from the two decades he spent propagating the faith in the post-Soviet zone, including places such as: Rostov on the Don, Uzbekistan, Sakhalin Island, and Kamchatka Peninsula. The Reverend highlighted the human rights abuses in post-Soviet Russia, including violations of religious freedom. The Russian Orthodox Church, which — as Farther Wiśniewski pointed out, is led by “KGB officers dressed in priestly robes” — has been waging a fierce battle against Catholicism, targeting especially (but not only) priests of Polish descent. Some, as he pointed out, were even murdered by “unknown culprits” or died in suspicious “accidents.” This is an insight into the mindset and modus operandi of the post-Soviet Russian ruling establishment. This entry was posted in Events, Intermarium, Lectures, Past Events, Poland, Polish History, Russia and tagged Kosciuszko Chair of Polish Studies, Poland on April 22, 2014 by IWP. The Institute of World Politics was recently mentioned—along with the Kościuszko Chair of Polish Studies, and its current holder, Dr. Marek Jan Chodakiewicz—in Anólan Ponce’s article in the Cuban-American Spanish-language newspaper, the Miami-based El Nuevo Herald. Entitled “Las inversiones en Cuba y el amor a la patria” [Investing in Cuba and patriotism], the piece argues that investment in their communist-occupied homeland by Cuban-Americans will server primarily to bail out a regime whose Marxist economic policies destroyed the nation’s economy. Mr. Ponce quoted Dr. Chodakiewicz’s article, “Carbon Copy Communism,” which demonstrated that the communist regime in Poland followed the same blueprint that the Castro regime is attempting to implement now by wooing exiled businessmen. The goal was not only to obtain Western cash, but also to utilize the diaspora to spread propaganda that the communist system is allegedly no longer a totalitarian dictatorship. In other words, Havana is attempting to pull off a great deception operation. Please click here for the whole article. This entry was posted in Articles and tagged communism, Cuba, economics, Marxism, Poland on February 19, 2014 by IWP.